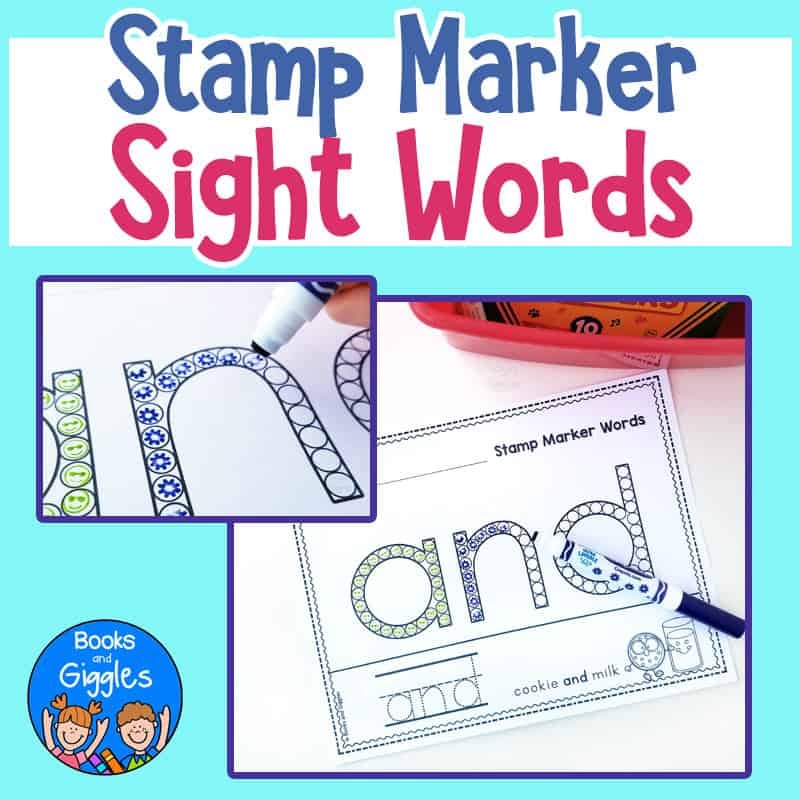 Inside: Free alphabet worksheets for stamp markers. 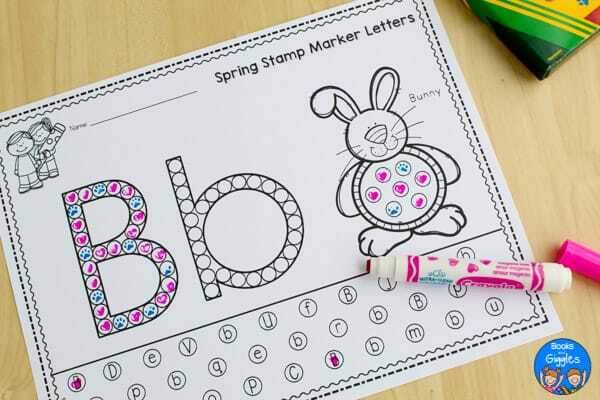 This mini set has a spring theme for engaging letter recognition practice. 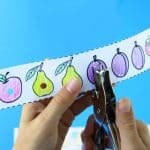 You know this: Give preschoolers worksheets and pencils, and you won’t hold their interest for long. But put something more interesting in their hands, and engagement goes WAY up. Plus, did I mention that it’s also good fine motor practice? Equally important, it helps to develop a growth mindset. You can see your improvement right there on the page. 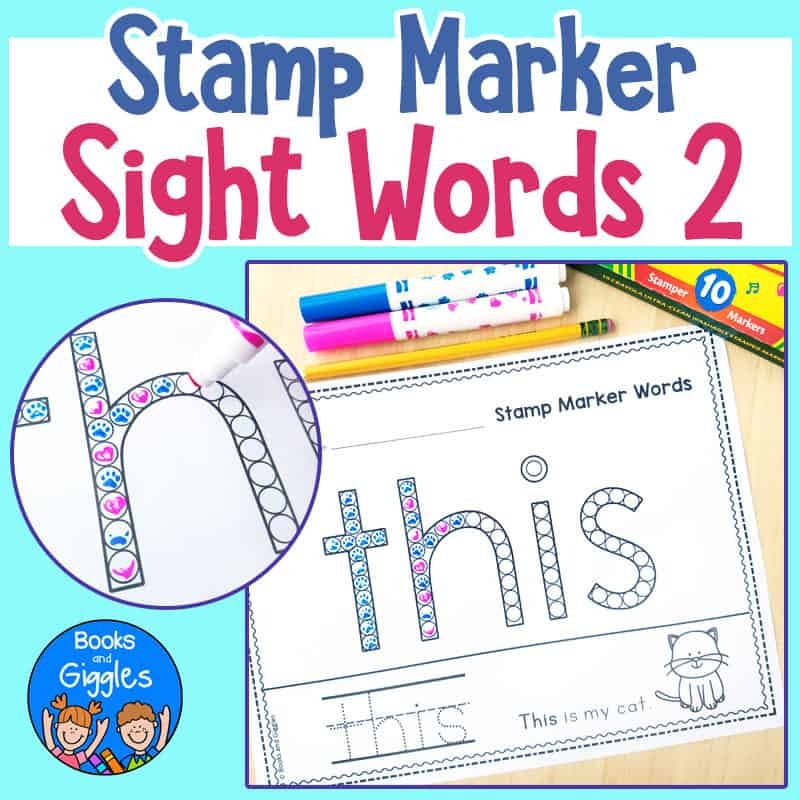 I’ve also created a way to use stamp markers with letter recognition worksheets. I’ve had this full A-Z set in my store for a while now, and the feedback warms my heart. I love picturing those kiddos around the world focused on learning without really knowing that they’re working. So I wanted to create a mini set of free alphabet worksheets to share with everyone. I went with a spring theme. There are 7 pages: B is for bunny, C is for caterpillar . . .
R is for rain . . .
Plus, not pictured, there’s F is for flower, L is for lamb, B is for butterfly, and G is for gardening. I know that’s 2 letter B’s, but who’s counting? The butterfly page is just as cute as the bunny. 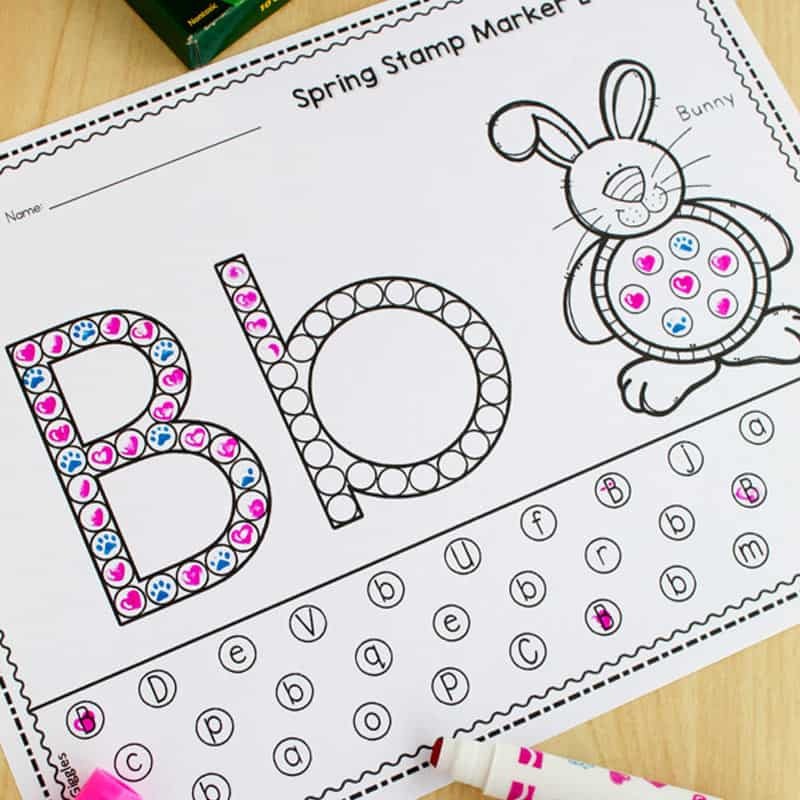 Kids stamp the perfectly sized circles inside the uppercase and lowercase letter. 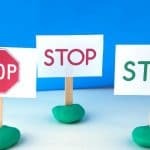 Some of the letter sound pictures also have circles to stamp in. 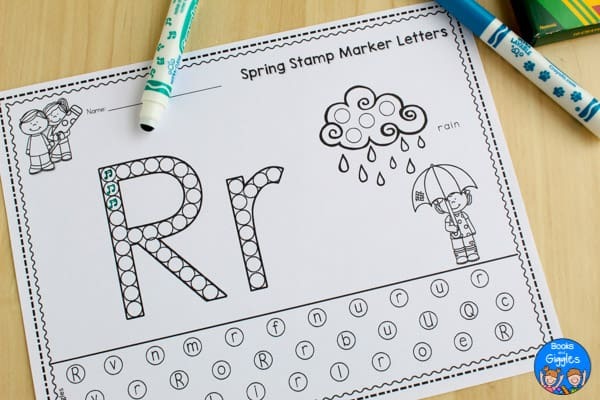 Then, the child stamps the matching letters in the letter recognition section at the bottom of the page. Wanna try? It’s free for my newsletter subscribers. You can grab your set by clicking the blue rectangle with my logo, located at the very bottom of this post. 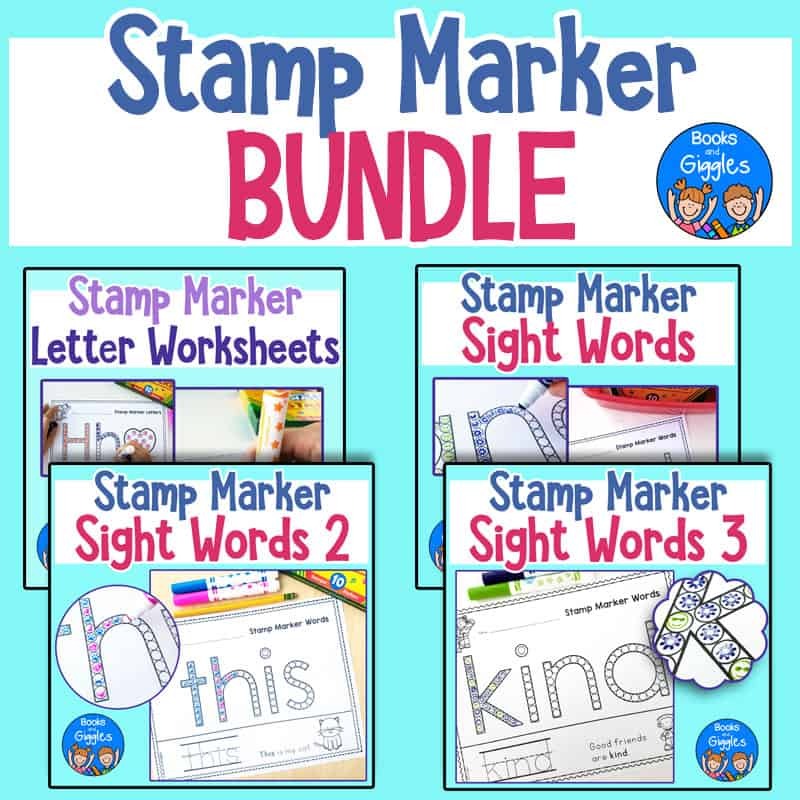 Need to find some stamp markers first? No worries – Target sells them (affiliate link). Lately, Crayola has been marketing them as “Emoji markers,” but the markers themselves seem to be the same as they’ve always been – adorable! RoseArt brand used to sell stamp markers too, but I can’t find those anymore. Our old ones are the same size as the Crayolas. Lakeshore Learning also sells mini stampers that are about the right size. 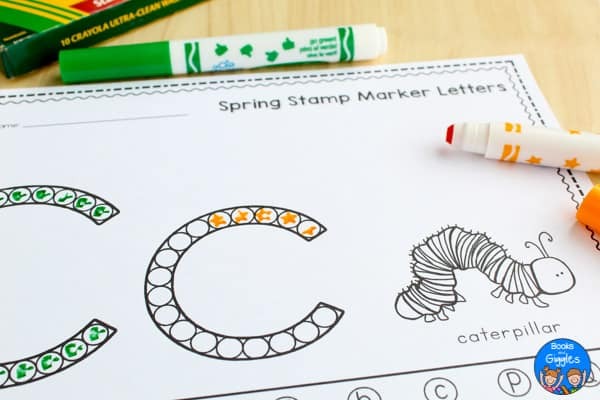 Melissa and Doug carry some really cute animal stamper markers, but the reviews on Amazon indicate that they currently have a quality problem – let’s hope they fix it soon because they’re super fun! 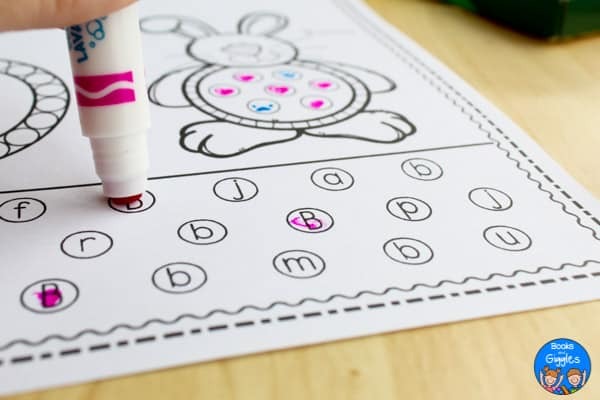 After preschoolers can sing the ABC song, they’re ready to learn what each letter looks like. They internalize letter shapes best through multi-sensory activities. You can have them trace letters in sand, fingerpaint, or other materials and build letters with playdough. 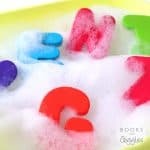 You can even make letter learning part of sensory play, as we did with this bubble activity. 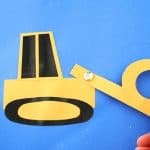 Or, give them letter crafts like these interactive construction vehicle letters to play with. 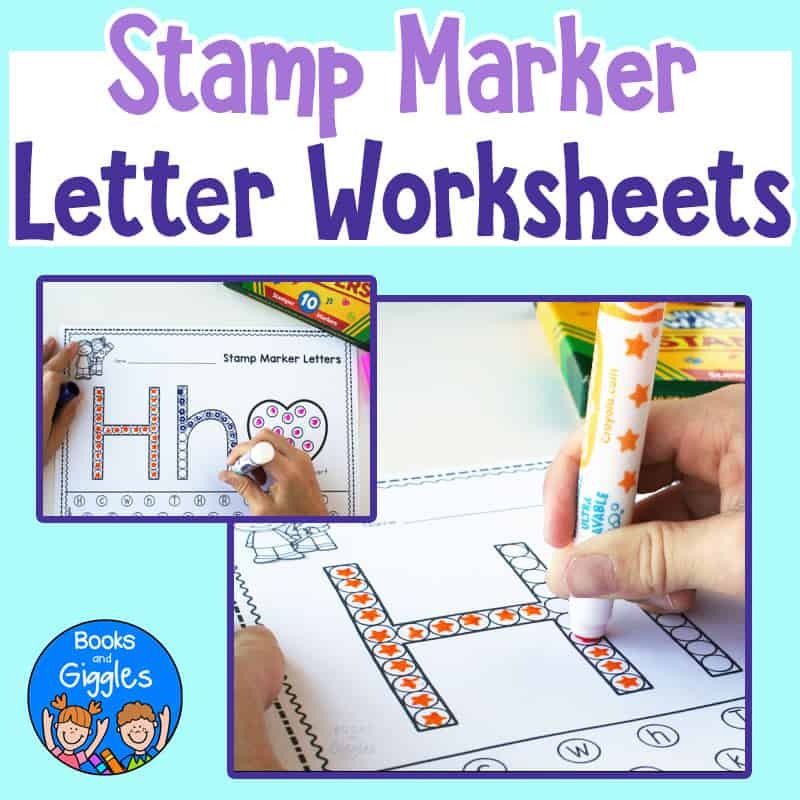 Activities where children fill letter shapes with objects or marks (like the bingo dabber letter worksheets in my store as well as these stamp marker pages) also help them learn to recognize each letter. As they learn letter shapes, you can also help them start to associate those shapes with initial sounds. A lot of this can be done orally. However, including initial sound pictures will also contribute to their building knowledge. 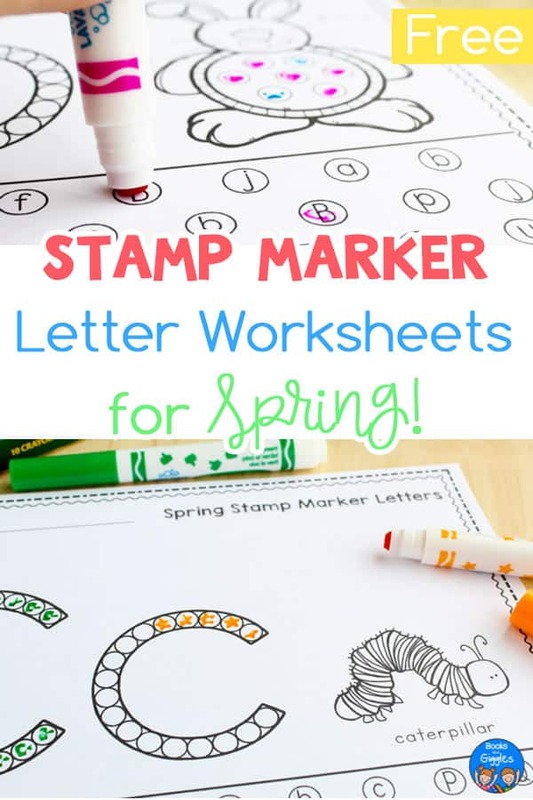 If you love these free spring worksheets, you may also like to check the full A-Z stamp marker worksheets in my store. There are also sight word versions, and even a bundle of all of them together. 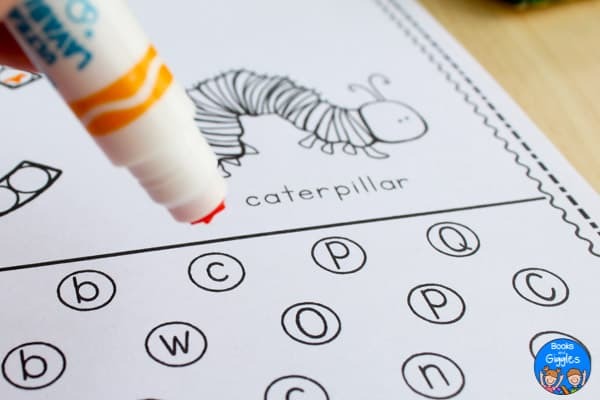 Ready for your free alphabet worksheets? You'll also receive the Books and Giggles newsletter packed with freebies you'll love!